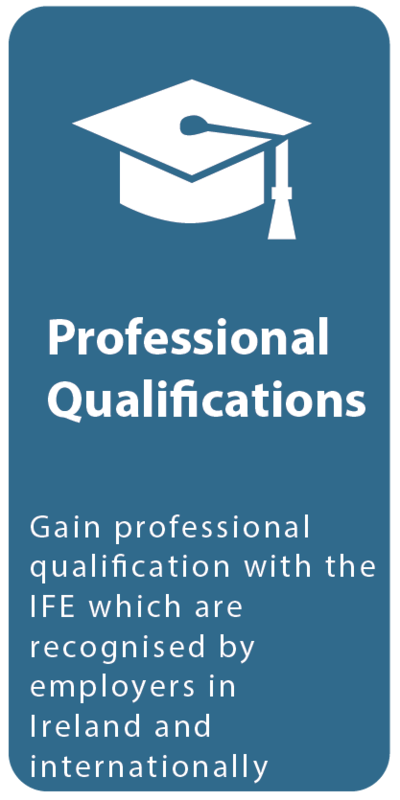 You do not need to be a member of the IFE to access the qualifications. This qualification has been designed to recognise the critical understanding required by those in firefighter roles. The qualification is assessed by a single three-hour examination. The examination contains 120 multiple choice questions. The syllabus has been updated for 2018. Candidates taking examinations in 2018 should refer to the updated syllabus – 2018 IFE Level 2 Certificate in Fire Science, Operations and Safety. This qualification recognises the knowledge and understanding of those operating at, or preparing to operate at, Crew Manager level. 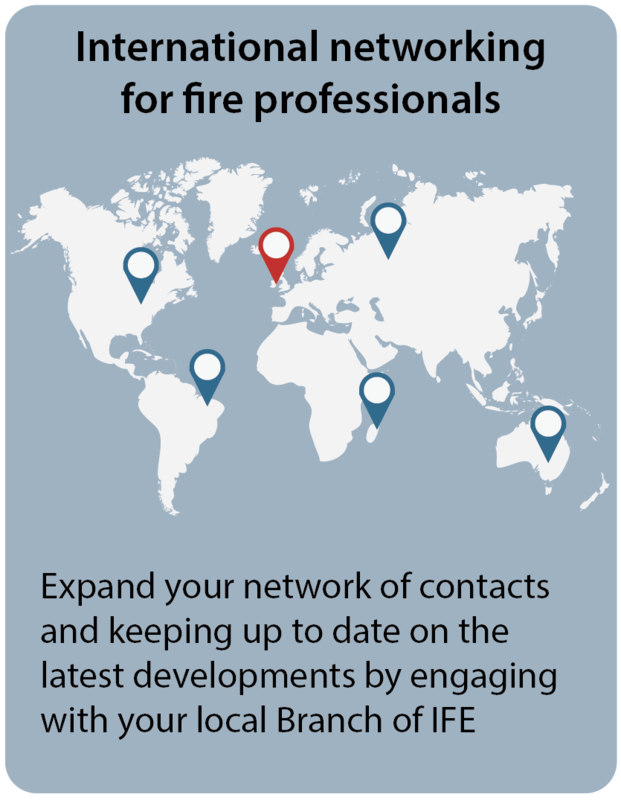 It is also appropriate for other fire specialists such as fire safety specialists. To achieve the qualification, candidates have to achieve each of the four mandatory units. Each unit is assessed by an examination of one hour. The syllabus has been updated for 2018. Candidates taking examinations in 2018 should refer to the updated syllabus – 2018 IFE Level 3 Certificate in Fire Science, Operations, Fire Safety and Management. 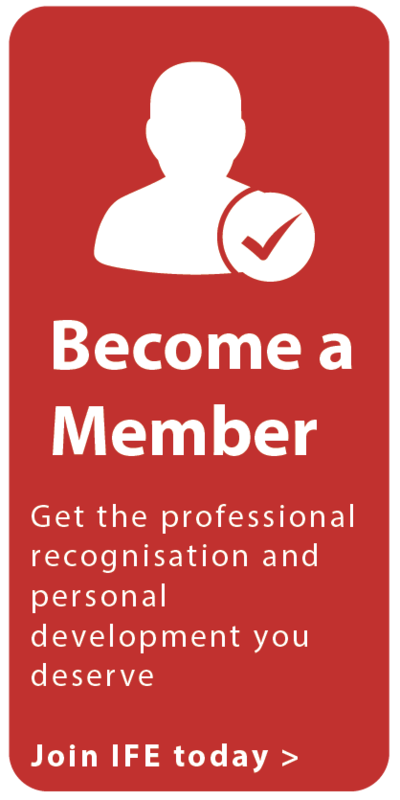 This qualification recognises the knowledge and understanding of those operating in, or preparing for, a range of roles at level 3 including Watch Managers and fire professional specialists (eg Fire Safety). In order to achieve the qualification, candidates must achieve the two mandatory units and also two optional units. Each unit is assessed by an examination of three hours. From March 2017 examination papers will comprise 8 questions; candidates will need to select 6 questions from a choice of 8. Candidates should read the introduction to the qualification prior to reading the individual units. This qualification recognises the knowledge and understanding of those operating in, or preparing for, a range of roles at level 4 including Station Managers and other fire professional specialists (eg Fire Safety). In order to achieve the qualification, candidates must achieve the two mandatory units and also two optional units. Each unit is assessed by an examination of three hours. Examination papers comprise 8 questions; candidates will need to select 6 questions from a choice of 8. Candidates should read the introduction to the qualification prior to reading the individual units. The IFE Level 3 Certificate for Operational Supervisory Managers in Fire and Rescue Services has been introduced to recognise practical skills and also underpinning technical understanding in the context of incident management. In order to achieve the qualification, candidates must achieve two mandatory units: one unit is assessed by external examination; the other unit takes the form of a practical assessment which is carried out by approved local assessment centres and is externally quality assured by the IFE. Please note: candidates who wish to achieve this qualification must register with an approved assessment centre. The IFE Level 5 Award in Fire Investigation: Theory and Practice has been designed to recognise the practical skills and underpinning knowledge required by those who carry out investigations at fire scenes. The qualification comprises a single unit which covers scientific understanding, use of the scientifc method and practical skills. All assessment is carried out by approved local assessment centres and is externally quality assured by the IFE. The IFE Level 5 Diploma in Fire Engineering Design recognises the practical skills and technical understanding relevant to fire engineering. The content of the qualification was developed and approved by the CFOA (Chief Fire Officers’ Assocation) Fire engineering and Technical Standards Working Group. It will support individuals in roles such as fire risk assessor, fire safety auditor, approved inspector and fire engineer. Please note: candidates who wish to achieve this qualification must register with an approved assessment centre. All assessment is carried out by approved local assessment centres and is externally quality assured by the IFE.